White fluted candles, multi-colored fluted candles, white taper candles, multi-colored taper candle. Our material one is 100% Paraffin Wax the other is 70% paraffin wax and 30% palm oil. Our packagings are polybag packaging, box packaging, shrink packaging and cellophane packaging, we also could produce the packaging according to customers' requirements. Our colors are: white, black, green, yellow, blue... any color you can choose. Our characteristics are dripless, smokeless, odourless, high melting point (58°C-60°C). Our household candles have many different grammers and many different sizes, the grammers are from 7g to 100g, the diameter are from 1.1cm to 2.5cm. we could produce the grammes, diameters length and the brand according to customers' requirements. Litbright Candle Factory was established in nineties last century. As a manufacturer with factory in mainland China, we have over 10 years of exporting candles. Our factory area is about 48,000 square meters and we are one of the biggest candle manufacturers in Hebei. We have over 800skilled workers and 40 technicians. Our production capacity: 4×20' containers /day.These items are of good quality and advanced designs,which are very popular among customers. Our products have been exported to America, Europe, Africa and Australia, etc more than eighty countries. household candles, remote control Flameless LED Candle, candle in glass jar, bright candles, Tealight Candles, pillar candles, gift candles, candles, jewish candles, ball candles, taper candles,votive candles. Contact us if you need more details on White Pillar Fluted Candles. 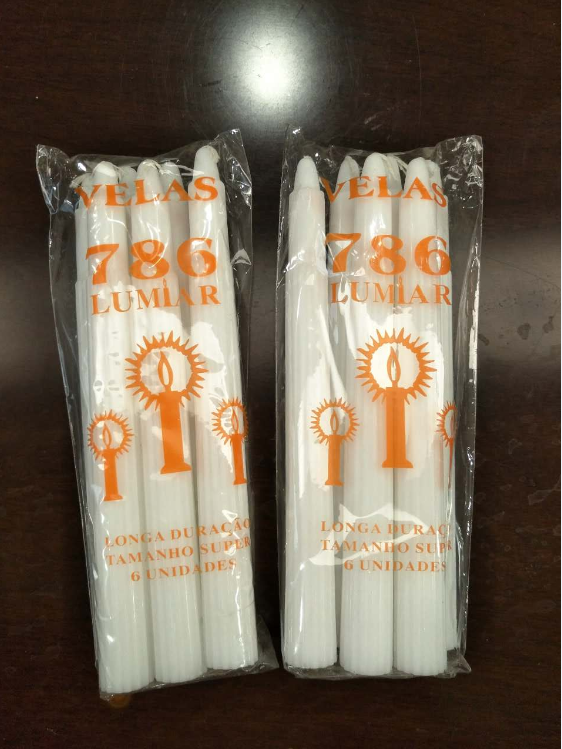 We are ready to answer your questions on packaging, logistics, certification or any other aspects about Votive Straight Fluted Candles for Church、Household Wholesale Candles. If these products fail to match your need, please contact us and we would like to provide relevant information.